There’s something to be said for a more traditional approach to laundry room storage, with cabinets on the wall above the machines. A top-load washer doesn’t have to look dated. Many new models are undeniably modern, with sleek lines and as many wash cycle options as a front load set and room for laundry storage on the wall above. On average, Energy Star certified clothes washers (top and front loading) use about 20% less energy and 35% less water than regular washers. Front-load washers and dryers with storage drawers underneath are all the rage. They’re beautiful, no denying that. And once upon a time you could get them in amazing colors (metallic reds or blues) but stainless now dominates our laundry rooms, just like our kitchen. White laundry room appliances are still popular while black isn't seen much these days. With laundry room storage built into the platform, they save on space. But tight, narrow quarters don’t apply to every laundry room. And there is no rule that says front-load sets must use platforms. Without platforms, they tuck under a countertop. With cabinets mounted on the wall above the washer and dryer, all you do is open the door to find what you need. Detergent, softener, pre-treater — it’s all within your grasp. You’re already standing at the machine, so you only need to reach. With storage under the machines, you have to bend each time you needed something. Detergent? Bend. Softener? Bend again. So you’re bending to reach what you need, raising to add it to the load, bending again to put it away, and standing to start the machine. Wall-mounted laundry storage is fairly standard. You can get high-end cabinets that match what you have in your kitchen. 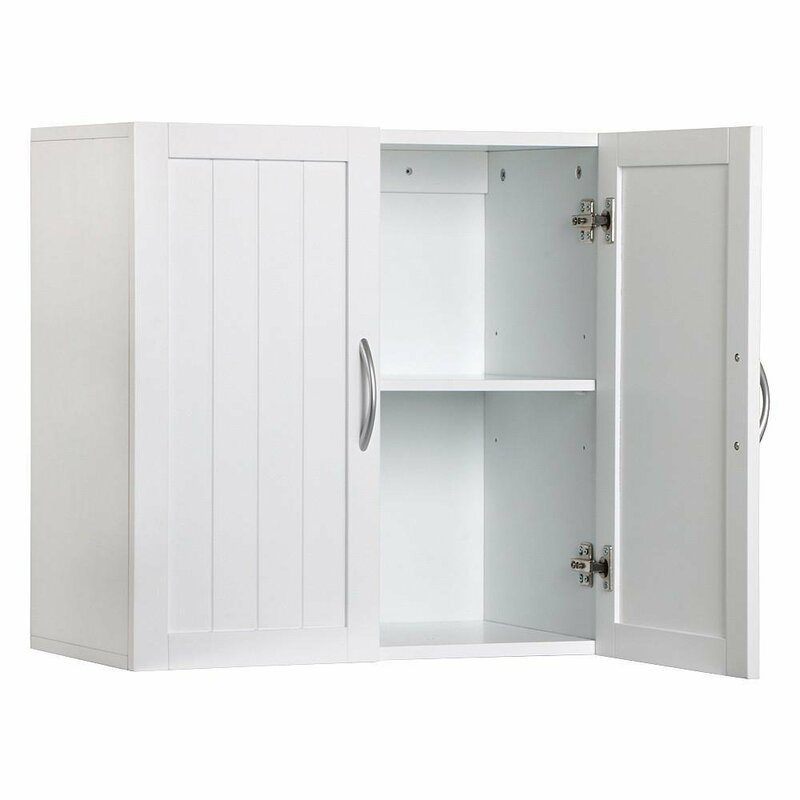 You can also buy less expensive, upper wall-mount cabinets for your laundry room storage. Installation is straightforward, making sure the cabinets are screwed into wall studs to support the weight of detergent which is heavy. 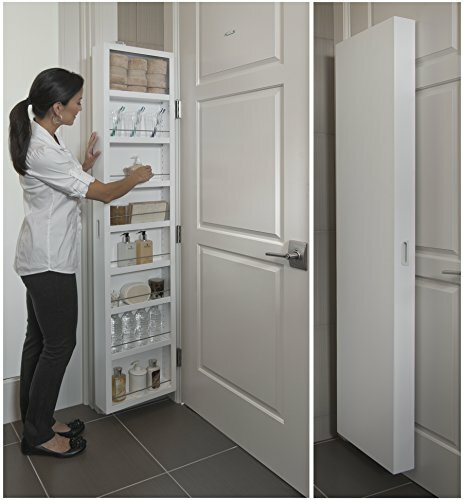 Wall cabinets are 12 inches deep, which is big enough to store all of your laundry supplies. And you can adjust shelves to make the best use of your laundry room storage space. With storage under the machines, oftentimes you need proprietary pedestals. They’re not included in the price of front-load machines. One size doesn’t fit all, and the cost might surprise you. An average storage pedestal costs as much as a lower-end top loading washing machine, around $300. Some are pricier than that. For your money, you get a lot less storage space with a pedestal than upper cabinets. Wall-mount cabinets have worked great in laundry rooms for generations because there isn’t anything wrong with how they perform. Everything is handy and tucked away neat. With most cabinets, you’ll get a lot more space than a drawer under a machine. Whether you use a top loader or a new front-load set, laundry storage on the wall above is less of a workout on your knees. It also gives a lot more for your money. Sometimes, the traditional ways really do become traditional for a reason. 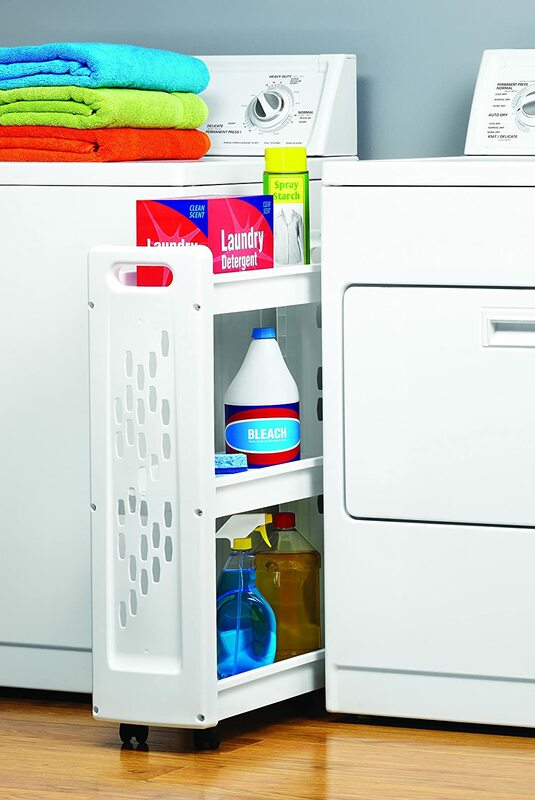 Need More Laundry Room Storage? Suppose you've got all the wall cabinets you can fit into your laundry room but you need more storage? There are lots of creative solutions to help you organize this important room. Are you a wall-mounted or storage on the bottom fan? Let us know below – what's your favorite storage solution. PS We've got some other laundry room articles to help make your time at home even more productive … and please share your ideas and/or questions below. Laundry Room & Who Folks the Laundry? … one of our most popular articles! I am just under 5 feet tall. I would have to get on a stool to reach the detergent inside a wall cIabinet. I don’t want the pedestal but I can’t reach in the cabinets. We are building a house and would love to hear suggestions where / how to store detergents etc. Linda, 2 ideas come to mind. If you’ve got flexibility because you’re building, you might be able to position your washing machine/dryer to leave space for a narrow cart on wheels where you could keep your detergent. I’m also a big fan of adding shelves under wall cabinets in the kitchen to keep my countertops clear. This article shows a shelf with coffee cups hanging below the shelf … right over the kitchen sink. Linda, I also just remembered there are 3-packs of these cute square wall shelves (here are some square shelves on Amazon) & maybe you could hang one (carefully as detergent weighs quite a bit) on a wall where it’s each to grab what you need to do the laundry. I like my pedestals for storage. I’m 5’3” and I’d rather stoop to get detergent once than be on my knees to load & unload each machine. Christina, What’s important is finding a solution that works for you & sounds like you have. I will certainly look at the pedestals more closely when I’m at the store again.